Officers responded to a call at Texell Federal Credit Union on Monday, December 19, 2015, just after 10:00 am, in reference to an ATM that was damaged. During the course of the investigation detectives were able to obtain security video footage that shows two males approach the ATM. 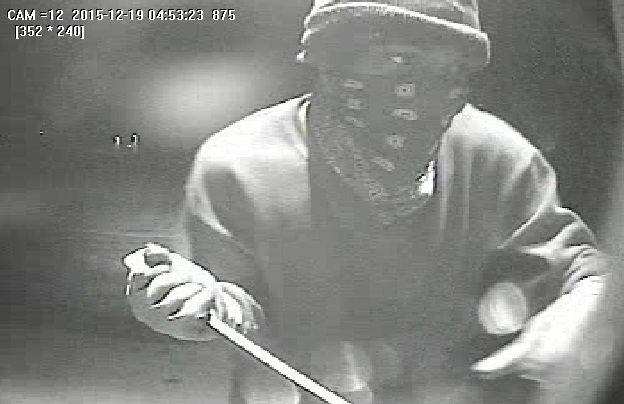 One of the males acted as the “lookout” while the other male attempted to gain access into the ATM with a pry bar. The suspects were unable to get the ATM open however they did cause a significant amount of damage leaving the ATM inoperable. Detectives obtained photographs and are asking anyone who can identify these suspects or may have information about any of them to contact Crime Stoppers at 526-TIPS (8477), go online anonymously at www.bellcountycrimestoppers.com or text BELLCO along with the tip to 274637. Text HELP to 274637 for help with the tip or text STOP to 274637 to stop the tip. All information is confidential and anonymous and if your tip leads to the arrest of the suspect in this case you could be eligible to receive a reward up to $1,000 in cash. Killeen Police involved in an evening pursuit. Officers were notified of a wanted person on Monday, February 22, 2016, at 6:54pm, at the Academy Sporting Goods Store located at 2500 E. Central Texas Expressway. The preliminary investigation revealed that a white male was at the Academy Sporting Goods Store attempting to purchase a gun. A background check was conducted and it revealed that the male had an outstanding warrant. The Killeen Police were notified and as they were enroute to the call, officers saw a black 2010 Ford Flex leaving the area eastbound on Central Texas Expressway. Officers attempted to stop the vehicle however the driver refused and a pursuit ensued. Shortly thereafter, the driver failed to negotiate a curve in the 2000 block of Little Nolan Road, causing the vehicle to leave the roadway and driving through two chain link fences and a wooden fence. The vehicle came to a stop in the back yard of a residence and the two occupants fled on foot. Officers caught the male that was wanted and took him into custody without incident. He was transported to the Killeen City Jail. A search of the perimeter for the second occupant was conducted and officers were not able to locate him. 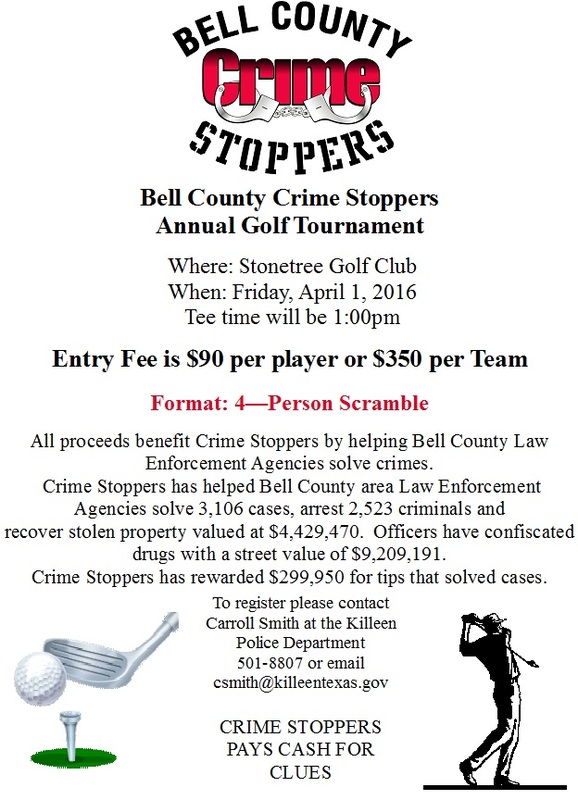 The suspect had an outstanding felony warrant out of Belton Police Department. His name will not be released at this time and is awaiting arraignment. Killeen Police were notified of a reported Aggravated Sexual Assault of a Child in November of 2015. An investigation was conducted by the Criminal Investigation Division and detectives determined that, 21 year old Phillip Miguel Hensley had sexually assaulted the twelve year old victim on numerous occasions beginning on or about July 2013 to November 2015 in the family’s home. The case was sent to the Bell County District Attorney’s Office for screening and a complaint was returned charging Phillip Miguel Hensley, with Aggravated Sexual Assault of a Child. On Friday, February 19, 2016, Phillip Miguel Hensley was placed under arrest and taken into custody. Hensley was arraigned by Justice of the Peace Garland Potvin and set his bond at $100,000. He is currently in the Bell County Jail. Can you identify this Forgery suspect? On February 11, 2016, detectives were notified of a Forgery at an Automated Teller Machine. They were told that the victim was to receive a reimbursement tuition check from Central Texas College. The check was mailed to the victim in Fort Knox, KY, but was never received; the victim has not lived in Killeen or Fort Hood. Approximately 30 days later the victim was told the check had been deposited by a white male at an ATM located at the Bank of America on Trimmier Rd. 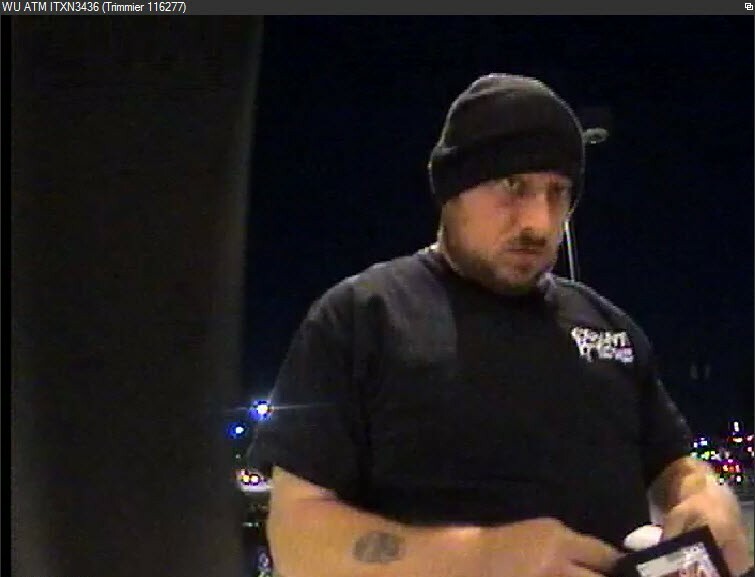 Detectives are asking anyone who can identify this Forgery suspect to contact Crime Stoppers at 254-526-TIPS (8477), go online anonymously at www.bellcountycrimestoppers.com or text BELLCO along with the tip to 274637. Text HELP to 274637 for help with the text or text STOP to 274637 to stop the tip. Message and Data rates may apply. All information is anonymous and confidential, if your tip leads to the arrest of the suspect in this case, you could be eligible for a reward up to $1,000 in cash. Home child caretaker charged after near drowning incident in February. 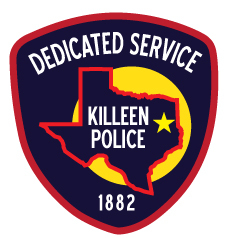 Killeen Police Detectives have been investigating the dear drowning of a 2 month old male child in the care of a 48 year old woman on Wednesday, January 13, 2016. The investigation revealed that the homeowner/child caretaker was giving the child a bath when she heard a noise in the area where the other toddlers were playing in the residence. The female left the child in the bathtub to investigate the noise and when she came back the child was face down in the water. This case was reviewed by the Bell County District Attorney’s Office and a complaint was returned charging Janine Marie Wesson with Abandoning or Endangering a Child with the Intent to Return, a felony, and a warrant was issued for her arrest by Justice of the Peace Garland Potvin. On Wednesday, February 17, 2016, officers arrested Janine Wesson at her residence on Bachelor Button Dr. without incident and transported her to the Killeen City Jail. 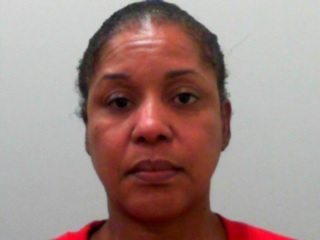 Justice of the Peace Garland Potvin set her bond at $100,000; she has been transferred to the Bell County Jail. The child was released from the McLane’s Children’s Hospital on Wednesday, February 3, 2016 in good condition. 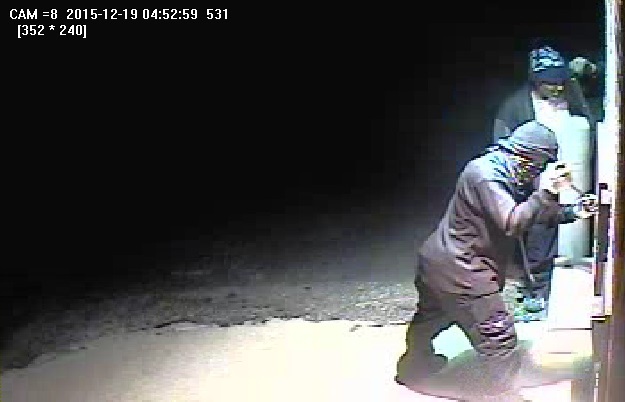 Killeen Police need the community’s assistance identifying a male suspect, in a Fraudulent Use of Identifying Information case, and the two females who were with him. 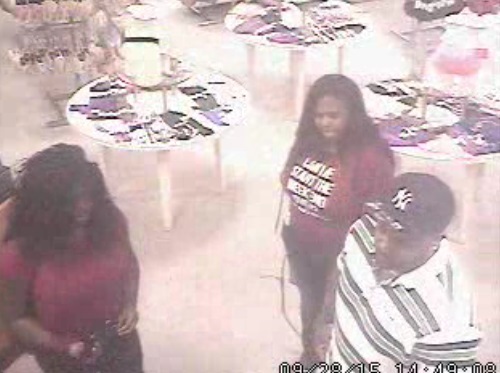 On Monday, September 28, 2015, officers were contacted by Kay’s Jewelers at the Killeen Mall. Upon their arrival, employees told them that on Saturday, September 26, 2015, a male came into the store and opened a store credit account using false identifying information. The suspect purchased jewelry and other merchandise and charged it to the fraudulent account. 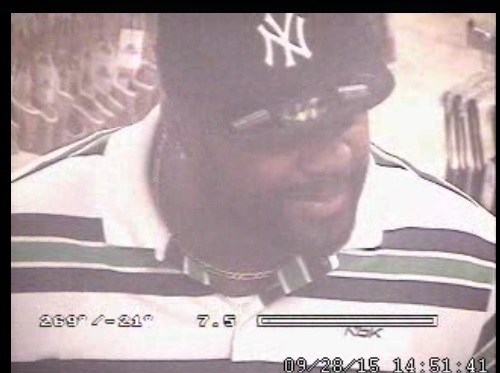 The suspect opened fraudulent accounts at Dillard’s and Zale’s Jewelers as well. Detectives obtained photographs and are asking anyone who can identify the male suspect or either one of the females in the photographs, or may have information about any of them to contact Crime Stoppers at 526-TIPS (8477), go online anonymously at www.bellcountycrimestoppers.com or text BELLCO along with the tip to 274637. Text HELP to 274637 for help with the tip or text STOP to 274637 to stop the tip. All information is confidential and anonymous and if your tip leads to the arrest of the suspect in this case you could be eligible to receive a reward up to $1,000 in cash. Suspects charged from narcotics search warrant raid at Motel 7. The following suspects were arrested after the Killeen Police Department and the Harker Heights Police Department executed several narcotics search warrants at the Motel 7 on Wednesday, February 10, 2016. Detectives seized Crack Cocaine and powder Cocaine with a street value of approximately $6500 and $2,773 in cash along with the weapons. 38 year old Jenille Marie Fields and 19 year old Armani Marqon Adams, both from Killeen, were each charged with two counts of Delivery of a Controlled Substance. Justice of the Peace Garland Potvin set their bond at $100,000 on each charge. They have been transferred to the Bell County Jail. Through this investigation, detectives were mainly focused on Jenille Fields and Armani Adams because they were the main suspects involved in the felony offenses. The other subjects who were arrested have been released at this time, pending further investigation and their identities have been withheld. Killeen Police arrest Colorado man for Aggravated Robbery warrant. Officers with the Special Missions Unit learned that a man who was wanted out of Aurora Police Department was in the Killeen area on February 5, 2016. The officers conducted an investigation and found the location of the suspect and learned that he had an extensive criminal history and fled Colorado to hide out in Killeen. Members of the Special Mission Unit set up an operation and took the suspect, 19 year old Israel Lopez, into custody without incident on Friday, February 5, 2016 at 11:15am. He was arrested in the area of 10th St. and Rancier Avenue in his vehicle. Please contact the Aurora Police Department for further details regarding the Aggravated Robbery charge as well as obtaining his photo. Officers responded to the intersection of Rosewood and East Central Texas Expressway Wednesday, February 10, 2016, at 12:19 pm, after receiving 911 calls in reference to a crash involving a black Harley Davidson motorcycle, a white Buick Rendezvous and a black Infinity. Upon the officer’s arrival, they located the driver of the motorcycle lying in the roadway and Killeen EMS immediately began efforts to revive him. Unfortunately he succumbed to his injuries and was pronounced deceased at the scene, at 12:40 pm, by Justice of the Peace Garland Potvin. The deceased is identified as Eric Eugene Cheney, a 41 year old Killeen man. No one else involved in the crash received any injuries. The preliminary investigation revealed that the driver of the Buick Rendezvous was traveling westbound on East Central Texas Expressway in the outside lane and the driver of the Infinity was traveling westbound on East Central Texas Expressway in the inside lane as they began to cross the intersection at Rosewood, witnesses said that the driver of Harley Davidson, who was traveling northbound on Rosewood, disregarded the red light as he approached the intersection at East Central Texas Expressway. The Harley Davidson collided with Buick Rendezvous and subsequently struck the Infinity. This crash continues to be investigated by the Killeen Police Department Traffic Unit.